Gartner, Inc. today named Michelin as the winner of its 2013 Master Data Management (MDM) Excellence Award in Europe, the Middle East and Africa (EMEA). The award, which recognises end-user organisations that have planned and executed successful MDM programmes with significant and measurable business benefits, was presented at the Gartner Master Data Management Summit 2013 earlier this month. The Gartner 2013 MDM Excellence Award attracted submissions from more than 12 organisations in more than six countries across EMEA. The three finalists selected by Gartner - Heineken, GSK and Michelin - each presented their case studies, which outlined how they aligned their MDM programmes with the organisation's strategy, measured the results and implemented the necessary data governance and stewardship. The case studies were presented to more than 300 attendees who voted to select the winner of this year's award. "Like all our finalists, Michelin's MDM programme clearly demonstrated a strong vision and strategy, solid organisational structure and governance models, and appropriate use of technology," said Ted Friedman, research vice president at Gartner. "The positive business outcomes derived by Michelin are a great example of how MDM can add substantial value to the organisation." The identification of a Gartner Award winner or finalist is not an endorsement by Gartner of any vendor, product or service. 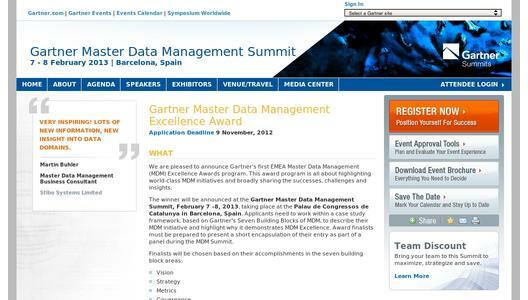 More information on the Gartner MDM Excellence Awards 2013 is available at http://www.gartner.com/... or on the Gartner MDM Summit 2013 website at gartner.com/eu/mdm. The Gartner Master Data Management Summit is specifically designed to drive organisations of all MDM maturity levels toward realising these benefits: from those just getting started with MDM, to those looking to move up the maturity curve, to those seeking advanced insight on the future of master data. At the Summit, Gartner analysts help organisations establish a solid justification for MDM and identify where and how MDM can increase service levels, drive growth and fuel transformation. Gartner, Inc. (NYSE: IT) is the world's leading information technology research and advisory company. Gartner delivers the technology-related insight necessary for its clients to make the right decisions, every day. From CIOs and senior IT leaders in corporations and government agencies, to business leaders in high-tech and telecom enterprises and professional services firms, to technology investors, Gartner is a valuable partner in 12,400 distinct organizations. 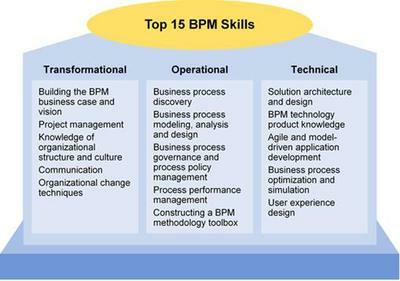 Through the resources of Gartner Research, Gartner Executive Programs, Gartner Consulting and Gartner Events, Gartner works with every client to research, analyze and interpret the business of IT within the context of their individual role. Founded in 1979, Gartner is headquartered in Stamford, Connecticut, USA, and has 5,300 associates, including 1,390 research analysts and consultants, and clients in 85 countries. For more information, visit www.gartner.com.